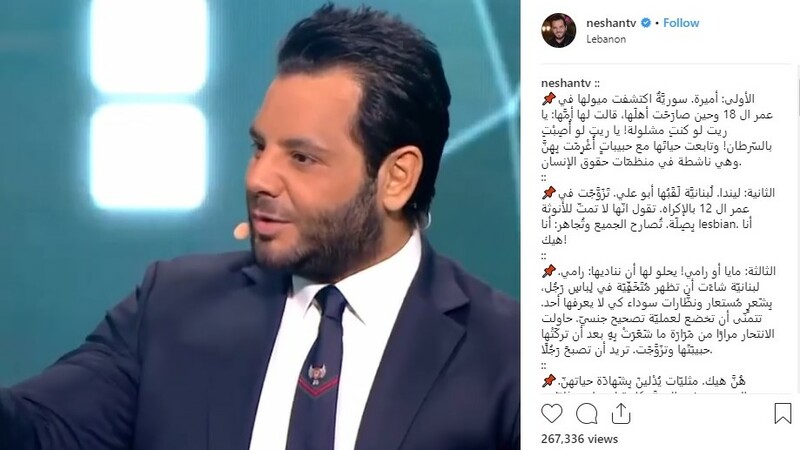 Tarek Chemaly: Neshan's Ana Heik beats censorship! Neshan's Ana Heik beats censorship! And so here we are, some lawyers filed a demand to stop tonight's episode of Ana Heik whose theme is about lesbians (the moral yada yada angle was the basis of the supposed ban). To be honest I do not watch television but out of principle am glad judge Marie-Christine Eid sent them packing. I remember in the 90s when El Shater Yehki with Ziad Noujaim tackled the topic of homosexuality, someone phoned in on the show to say such a topic "does not exist in our society" and Noujaim - visibly upset - said "yes, we invented it". Apparently, we are still inventing it!